It’s tall flowering stem divides into several drooping bright orange flowers. The green streak a the base of each flower segment for a green “star”. Each flower is approximately 2 1/2″ long with recurved petals and petal-like sepals. 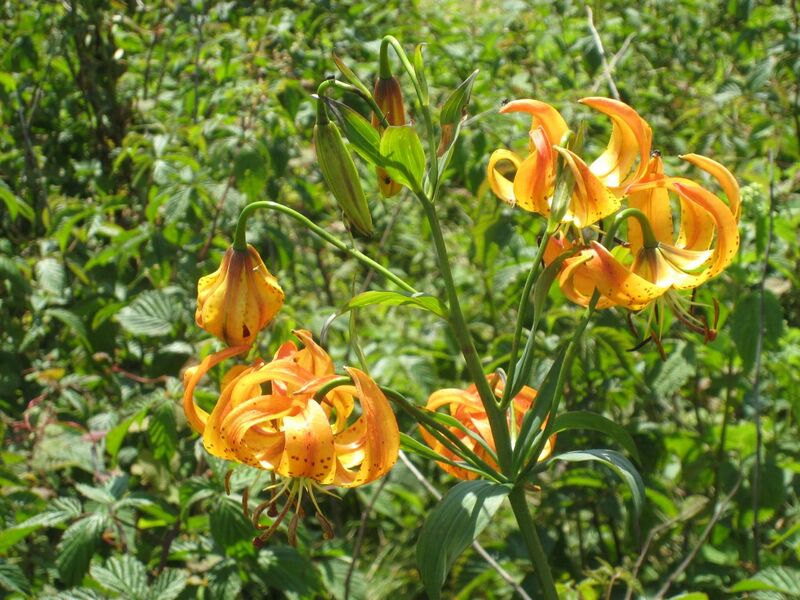 The Turk’s-cap Lily blooms between July and September and is found in wet bottomland and woods in most east coast states.